Are you always loyal to the traditional hair colors such as black or brown? Why don’t you change your daily boring hairstyle by Colorful lace front wigs them with some new colors? There are a lot of fantastic colors you can try on. However, dyeing your own hair frequently may be really harmful and it can increase the risk of damaged hair because of chemicals. 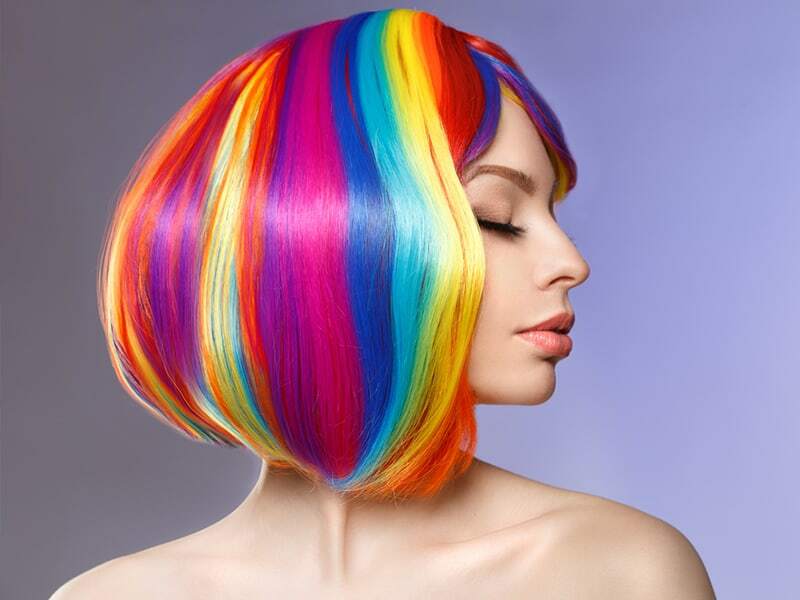 2 Should I buy colorful lace front wigs human hair? 3 So what are the differences between colorful synthetic lace front wigs and colorful lace front wigs human hair? 4 What factors should I pay attention to when I buy cheap, colorful lace front wigs? There are a lot of companies supplying lace front hair wigs as well as human lace front hair wigs. So, instead of coloring your real hair, you can buy colorful lace front wigs with your favorite color. Or, more simply, you just need to color your existing wigs. We will introduce several interesting hair colors that you should try at least one time in the entire life. You must see a lot of Anime girls with pink hair in Japanese animations. This color gives us a feeling of being cute, innocent and loving. However, a lot of celebrities choose this color and fall in love with it. Katy Perry is a famous singer, she confirmed on her Instagram that the country’s cherry blossoms inspired her to dye her platinum blonde pixie hot pink. Or Iggy Azalea said that “This baby pink shade is everything, especially when it’s accessorized with pastel orange and blue. And pink doesn’t just work with women but also men, Zayn, an old member of One Direction can rock-pink tips and give us major dye envy, too. 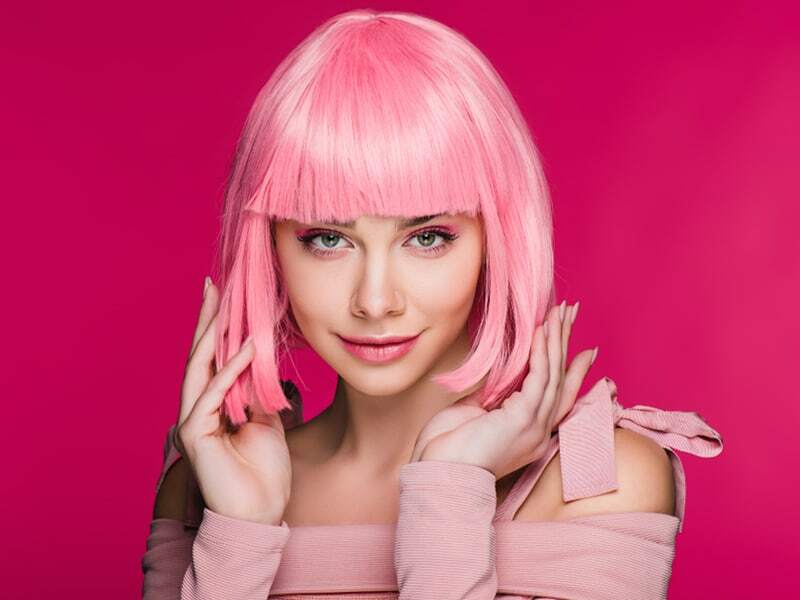 But if you think a hot pink can bring a too strong impression, you can try a light pink synthetic or human front lace wig instead. Purple including lilac, lavender or dark purple is other interesting colors that can make your life more beautiful. The wig with these colors must be one of the most gorgeous colorful lace front wigs all over the world. A large number of people wear purple synthetic wigs in costume parties. However, in fact, they are pretty easy to wear in real life and give your skin an overall brighter appearance. We can see a lot of famous people from singers like Demi Lovato to fashion icons like Nicole Richie are being taken over with purple tresses. Besides, new stars are debuting their purple hair seemingly every day. After seeing this color everywhere from the cover of a magazine to Instagram, the purple trend has been blowing up. Color Red is a color that you should try on your hair. 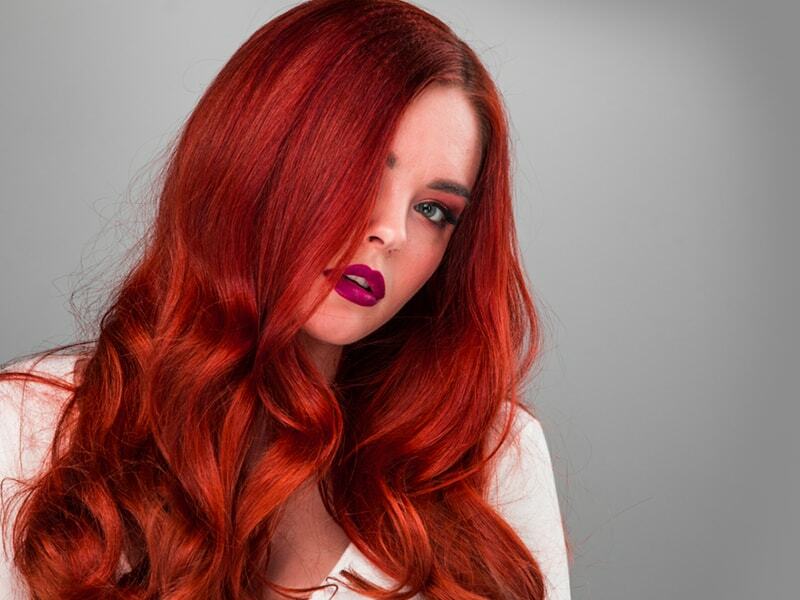 Red color hair is firing up Hollywood, with celebrities stepping out in shades of auburn or burgundy. 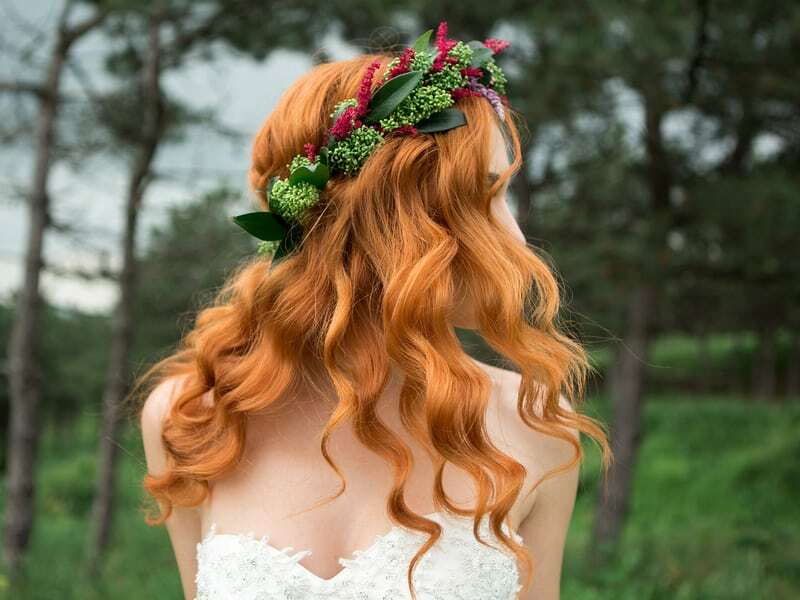 The comedienne, Lucille Ball once said that “Once in his life, every man is entitled to fall madly in love with a gorgeous red hair”. Let’s put on red synthetic or human lace front wigs and see this statement is true or not. Ombre: This term is borrowed from the French meaning shaded or shading. 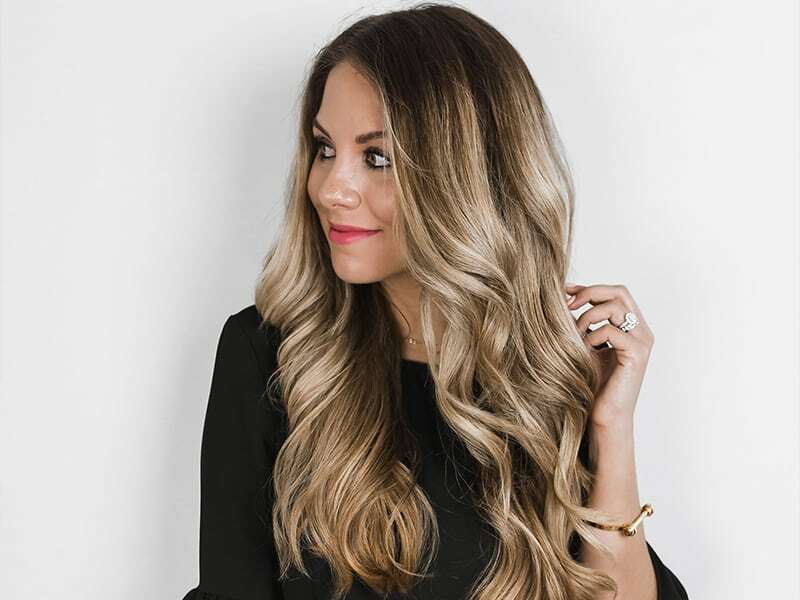 Hair Ombre wig is a wig in which the hair color is darker at the roots through the mid-shaft and then gradually gets lighter from the mid-shaft to the ends. This kind of colorful lace front wigs, always holds a top spot as one of beauty’s biggest trends, with famous people wearing them or keeping the flattering dip-dye hairstyle. We often see them on normal ombre wig like blonde ombre, however, if you want to be more prominent, you can try one of these colorful lace front wigs such as blue ombre, grey ombre, purple ombre or even red ombre. They absolutely make the color for your life. Remember, not every skin works on these colors, so you should consider and have a small test to make sure these colors are for you. Platinum blonde and white hair are known as major hair trends sweeping Hollywood. They are very light hair, is a great choice for the girls who have cool skin undertones. They can be used as solid, all-over hair color, applied as highlights or ombre and so many other purposes. Platinum blonde and white hair are known as major hair trends sweeping Hollywood. A lot of huge stars like Taylor Swift, Emma Stone, Beyonce or Justin Bieber show their love with these two kinds of color by making their strands lighter or change completely from the dark side into platinum blonde or white. The platinum or white lace front wigs are actually perfect in the seasons of sunshine and hot temperatures. Do we have any other interesting colorful lace front wigs? A lot of people must think that green or turquoise color is extremely weird and may make them be ugly. But actually, it’s time to dye your hair green. While other colors like pink or blonde are soft and pretty, green is bold, moody and complicated. This kind of color is combined between yellow and blue, which means between the calm and coolness. It is the most unnatural hair color but it’s the most powerful color for everyone. A lot of people must think that green or turquoise color is extremely weird and may make them be ugly. Therefore, green hair should be with confidence and strong women. Green and turquoise can be easily seen from NYC to LA and beyond. 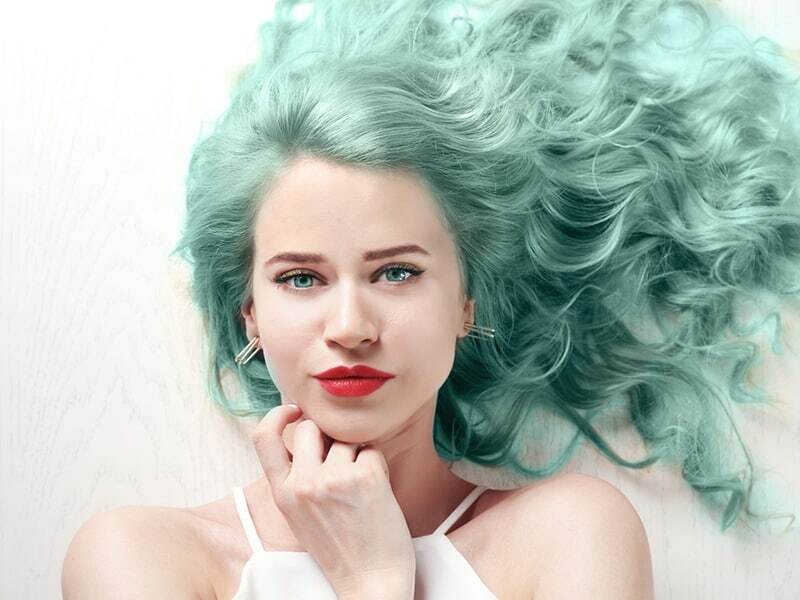 We can name a large number of celebrities who wear this awesome color such as Chloe Norgaard, Kate Bosworth, Willow Smith,… So, don’t be hesitant to change your wardrobe or color palette to match your new hair. Should I buy colorful lace front wigs human hair? We all have to agree that colorful lace front wigs are eye-catching and must-have items in our closet. However, when it comes to price and quality, we are hesitated and frustrated. What should I choose between an ocean of choices with so many different products with different quality and price? As for lace front wigs, the question of whether to choose between human hair and synthetic fibers is divisive. Some people love synthetic fibers because they don’t want to enter a committed relationship with their items, which requires attention and frequent care. On the other hand, some customers value the quality and natural looking of human hair. So, the ultimate answer depends entirely upon you. You should go for human hair once you are ready for maintenance, quality, and nature. 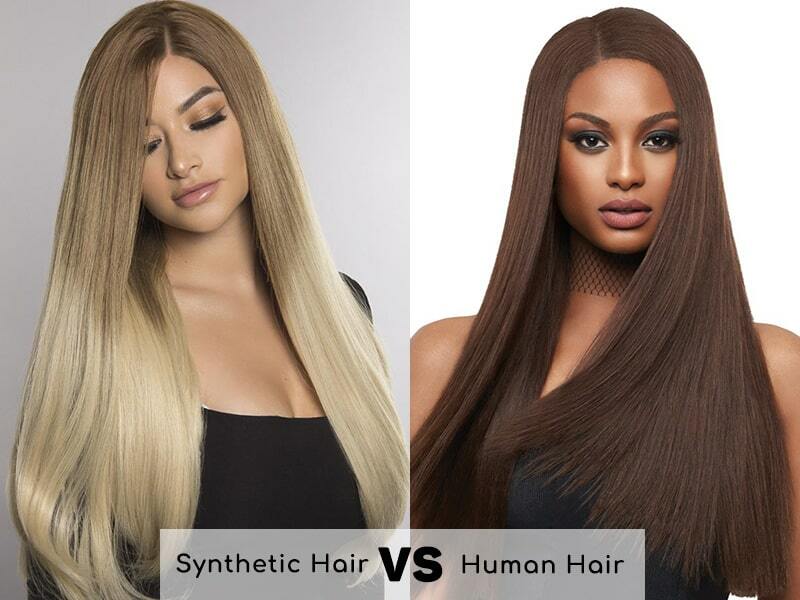 Colorful synthetic lace front wigs vs. colorful lace front wig human hair? So what are the differences between colorful synthetic lace front wigs and colorful lace front wigs human hair? As for the advantages, there is something you need to keep in mind. • Lace front wigs made of synthetic fibers are super cheap. You can even find wigs that cost $20 from synthetic fibers. • Synthetic wigs don’t require much attention and care. • Synthetic fibers, though try to resemble human hair, fail to represent the silkiness and smoothness of actual hair strands. If you tough synthetic fibers, you will notice they are slightly more robust and rougher than natural human hairs. • You can’t apply any hair processing that involves heat and chemicals since synthetic fibers can’t stand those. • The durability of synthetic fibers is short. • They offer a natural look that blends effortlessly in your natural hair. • You can apply heat, coloring, bleaching treatment as many times as you want. • Human hair isn’t compatible with all colors. That sometimes means when you dye your hair; you don’t get the color you want. • The price of human hair wigs isn’t very purse-friendly. • These items require much more attention than other types. What factors should I pay attention to when I buy cheap, colorful lace front wigs? If prices are what block you from what you want this section will help you find the item you want with an affordable price. Indeed cheap, colorful lace front wigs aren’t hard to find. However, the real question is how you can manage to find affordable yet high-quality colorful lace front wigs? Let’s see the most important factors you should pay attention to right here! Wigs are made of hair, whether it is synthetic hairs or human hair. It is safe to say that deciding on hair type is the best way to find out which one suits you. For those who want to use wigs once in a while for a short while, we would recommend synthetic fibers. These items may not resemble real hair strands; however, they are incredibly cheap. As for human hair, try to look for Remy hair instead of virgin hair, because it is more wallet-friendly. What’s more, you should think of making your lace front wigs instead of buying a ready-made one. Where would you buy your colorful lace front wigs matter too? Some places offer full service with heat and coloring treatment so that you can have a colorful lace front wig ready on your shelf in any minute. Some places would charge you fees to have extra curls or different colors than the original hair. So if you want to save some more, check the place you want to buy carefully. If you want to buy from online shops or online platform, considering the shipping fee. Sometimes the shipping fee overwhelms the real price, and it isn’t worth it to buy the product if you have to pay double. There are 2 basic categories wigs fall into synthetic wigs and 100% human hair wigs. Which is right for you? Many women think that women’s human hair wigs will be more natural looking. They fear that “synthetic” wigs will, in fact, look synthetic. This is not true! Each type of wig has its own unique benefits. These are a number of wonderful hair colors that we’ve already fallen in love with. Why don’t you choose a favorite color and try to make your hair more beautiful? You can search on Youtube to find videos that introduce all the steps of the hair dyeing process. Coloring a synthetic wig is quite difficult compared to a human hair wig because it is less durable and has low quality. But, you can follow those instructions to color lace front wigs and your life in a fast and easy way. Please go to Laylahair.com to have your own colorful lace front wigs. We are sure that you will be satisfied with them.